MCX Aluminium faced resistance near the 61.8% retracement of the entire fall from Rs124.15 – Rs102.4.The pullback unfolded in a channelised manner. From the key Fibonacci level as well as from the upper end of the channel Aluminium has fallen sharply. Recently it has formed a minor degree pullback that has retraced more than 50% of the fall. In the last session the base metal has broken its 20 day moving average (DMA). The daily momentum indicator has kissed the 9 period moving average and has turned down. 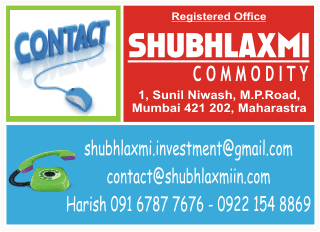 Hence fresh short position can be created with reversal above Rs113.3 (61.8% mark).The targets on the downside are Rs109.25 – Rs106.